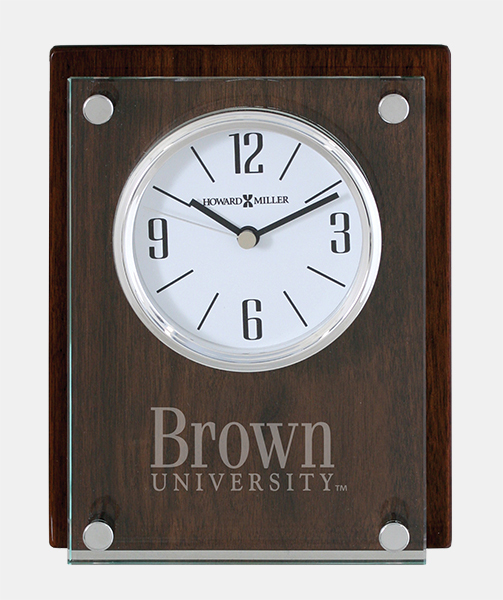 Walnut finish high-gloss desk clock with 3/8" thick glass front panel and chrome plated accents. 'Brown' imprinted above 'UNIVERSITY' on glass front panel. Size: 6 3/4"H x 5 1/4"W x 1 3/4"D; One AA battery included. 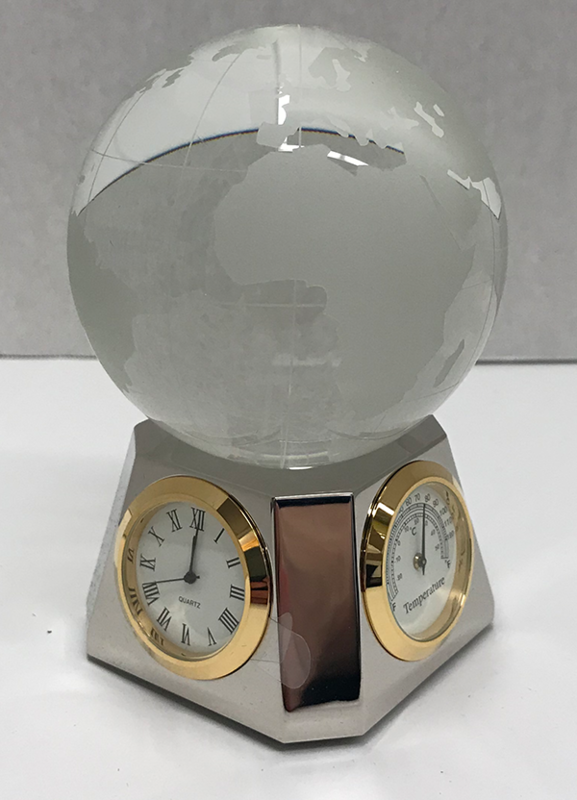 Small crystal table clock, features Brown logo on watch face.